RADIO then network: Let's Pretend was a long-run CBS radio series for children. Let's Pretend was a long-run CBS radio series for children. 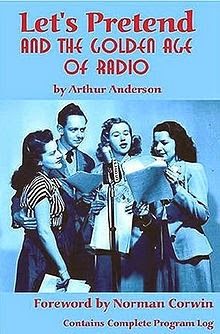 This radio program had several different early formats and titles. Aunt Jymmie and Her Tots in Tottyville began October 27, 1928. Aunt Jymmie was the host of this Saturday morning children's program's whimsical tales of fantasy and fairy tales. She introduced each week's tale which was enacted by a cast of young children, "the tots." The young "tots" traveled to Tottyville, a make-believe world of king and queens, princesses, witches and magic spells. 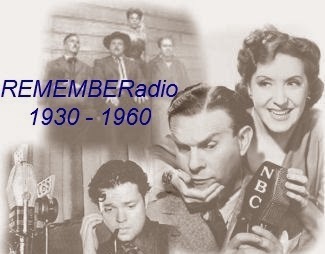 Originating from the WABC studio in New York City, the flagship station for CBS, this series lasted for 18 broadcasts until February 23, 1929 when it was replaced by the 30-minute The Children's Club Hour with Howard Merrill, who was the host and the scriptwriter. During the 1940s, Merrill scripted for The Gay Nineties Revue, Secret Missions and detective series such as Sherlock Holmes, Leonidas Witherall and the Abbott Mysteries. The Children's Club Hour, which offered fairy tales performed by juvenile cast members, began March 2, 1929 and continued until June 22, 1929. After 17 broadcasts of The Children's Club Hour, the time slot was given to Estelle Levy and Patricia Ryan who created another children's program, The Adventures of Helen and Mary, scripted by Yolanda Langworthy. Broadcast on CBS Saturdays at noon and other late morning timeslots, this series began June 29, 1929.